Born at Stornoway, Lewis, Outer Hebrides, Scotland, Mackenzie became a partner in the North West Company. His involvement in the fur trade led him to conduct extensive travel in the Northwest. He was one of the founders of Fort Chipewyan. He was the first European to traverse North America. 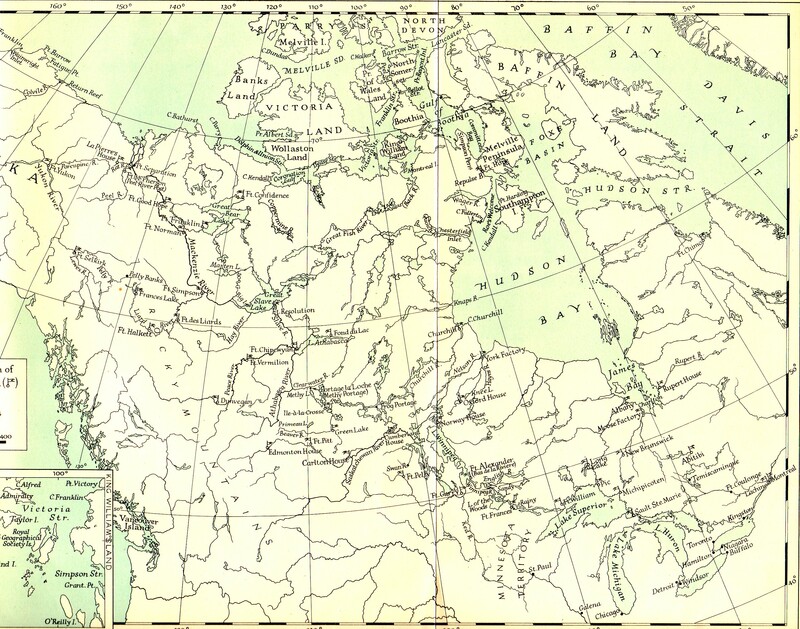 In 1789, Mackenzie went down a northerly flowing river to its mouth, located on the shores of the Arctic Ocean. The River was known by the local natives as the Dehcho, eventually to be known as the Mackenzie River. In 1792, Mackenzie departing Fort Chipewyan located on the western extremity of Lake Athabasca (See Map) then went up the Peace River, over the Great Divide of the Rocky Mountains, and then came upon the upper reaches of the Fraser River. Being discouraged by the local natives, Mackenzie did not go down this wild river. Going further west, he found the Bella Coola River and went down it to the Pacific, reaching it on the 20th of July, 1793. He published his journals in 1801. In later life, Mackenzie went into politics and became a member of the Legislature of Lower Canada from 1804 to 1808. In 1812, Mackenzie returned to Scotland. He married there to a 14 year old heiress. Mackenzie died in 1820, at the age of 56. He is buried at Avoch.